This is it, we are in the home stretch now… After the holes are drilled then you just need to shape the bodies and tops. This is where your initial sketch and the realities of the project meet, and sometimes don’t match. You need to be aware of the inner diameters of the holes that you just drilled so that you don’t cut areas too thin and destroy all your hard work. I couldn’t thin the body as much as my sketch showed because of this. While you are shaping the mills refer to your sketch for reference, it is easy to lose your place while turning. Looking at the drawing will remind of your ultimate end design. Once you get the mills shaped how you like them, sand them to remove all the tool marks and smooth them out. 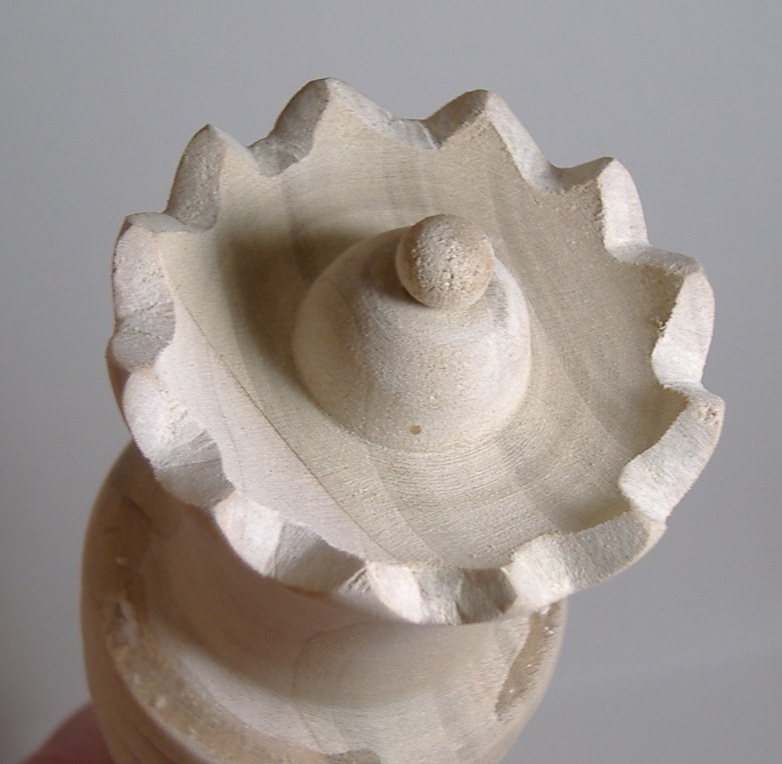 The top of the queen had to be cut with a hand saw off the lathe, that added a bit of complexity, but I’m happy with how that turned out. On the head of the king I left the cross round so that whatever angle you look it the cross will look the same. I actually ended up making 2 heads for the king and having the buyer pick the one that she liked the best… just another advantage of buying custom! At this point I would apply a finish, but since these are going to be painted I need to skip that step so that the paint will stick to the wood. After the sanding I move on to the installation of the mechanisms. Each mill manufacture has their own instructions for this, so follow those. If you have made it this far then you should be able to figure that out! Now you’re done! Pull off the top and load it with your salt or pepper corn, push the top back on and give it a twist! This still has an adjustable knob on the bottom (most have it on the top) for adjusting between a fine or a coarse grind. So here is a custom project that I’m excited to start for 2 reasons. 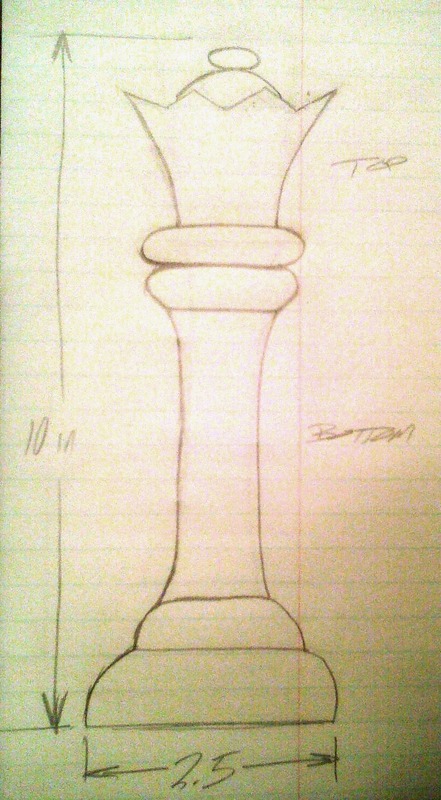 It is a set of salt and pepper grinders in the shape of a king and queen chess piece, which is something that I have on my to-do list. Now I can say that I haven’t ever made these exact things, but there is no reason that I can’t! The second reason is that when these are complete they will be sent to the other side of the planet… which is a pretty cool. 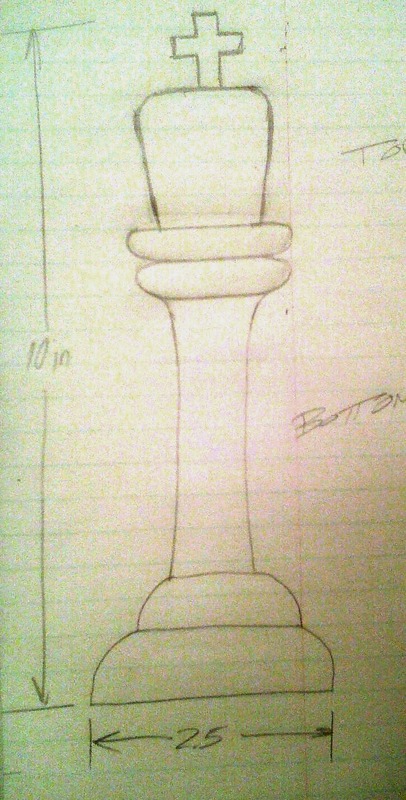 I plan to make several posts showing you the main steps in the process of producing a custom item. 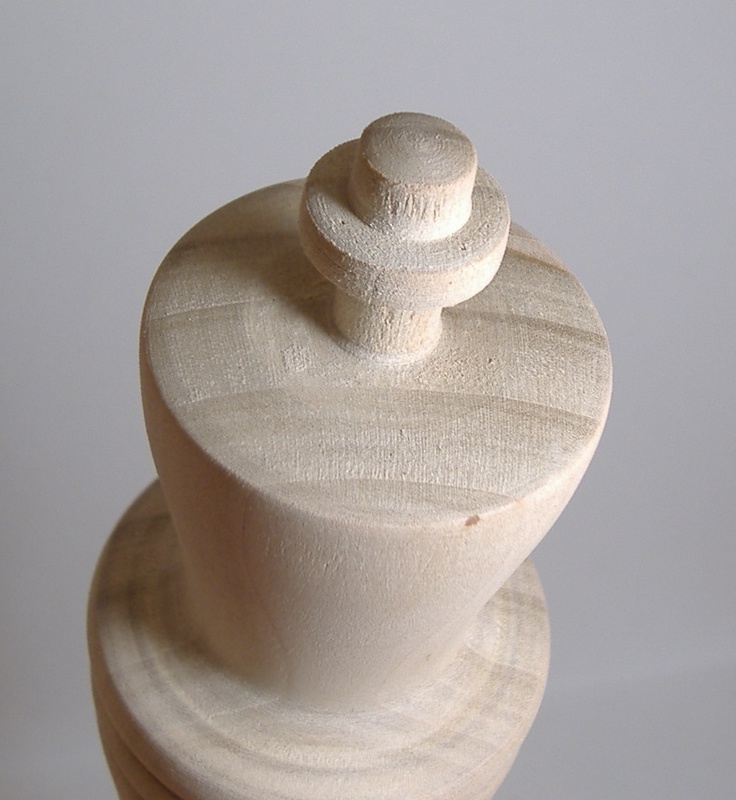 The basic design requirements of these are that they are to be about 10″ tall and 2.5″ around. My default woods for a project like this would be a solid piece of maple and walnut for the light and dark chess piece contrast. However, in this case, the buyer would like to paint them herself. 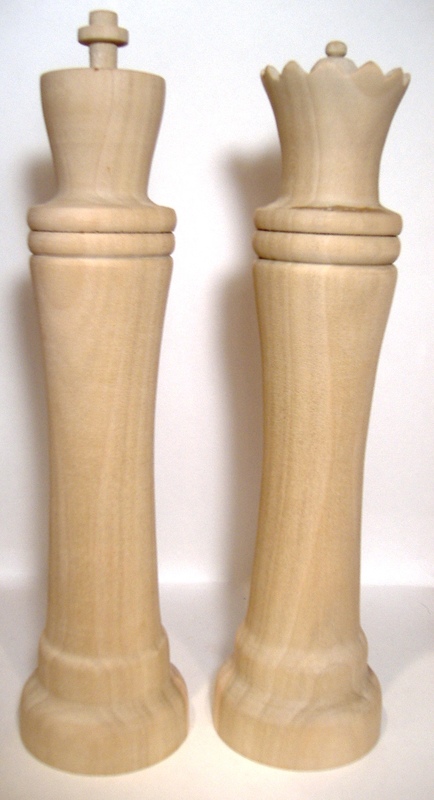 So I will make them out of a less attractive wood called poplar, because no one will see it in the end, anyways. These are just guild lines to work out the basic shape and style, these aren’t to a true scale. Also, the end product doesn’t end up lopsided (I never did do great in art class). If I am really concerned about scale, I will sketch out ideas on graph paper. If it is a really complex design that involves alot of thought I will draw in out in CAD ( I have a few projects in mind that might require this level of detail). Of course the rough sketch is just a guild line. As I get to turning the actual pieces I will often improvise and deviate from the sketch because in real life isn’t always the same as on paper. Maybe an area looks to fat and needs to be thinned out, or a bead or detail look out of place… then it is up to me to do what I think looks best. Check back soon to see what happens next! !